In an exclusive interview to The Innovator, les Echos’ english media devoted to digital transformation, Jacques Aschenbroich presented Valeo’s strategy in the key issues impacting in the auto sector today: climate change, mobility and autonomous driving. “Everything is changing. The whole world is experiencing a smart car revolution,” says Jacques Aschenbroich. 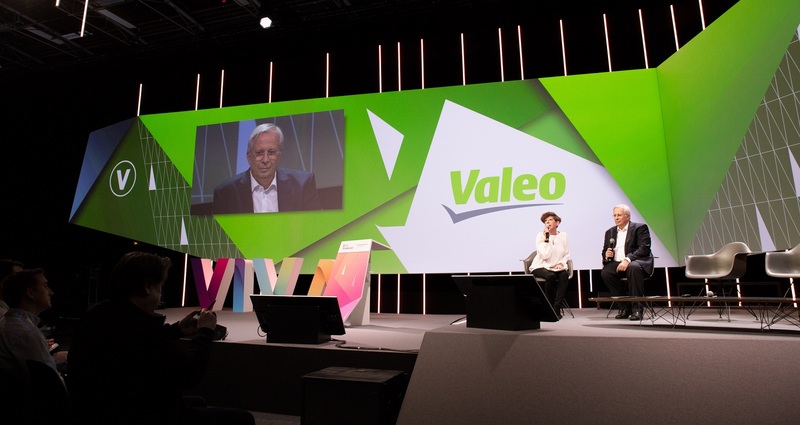 Valeo’s boss, voted N.4 best performing CEO in the world by the Harvard Business Review, argues this upheaval is in fact the combination of three simultaneous revolution – electrification, autonomous & connected vehicles and digital mobility. "The 3 revolutions driving the automotive world"
Valeo, which successfully transitioned from an automotive supplier to a fully-fledged tech innovator with EUR18.6 billion of annual revenue, currently spends 11, 8% of its Original Equipment revenue on R&D It is also a keen proponent of open innovation and collaborates with universities, labs, start-ups and other companies such as Cisco, Safran and CapGemini. Its joint venture with Siemens, dedicated to high-voltage trains, already boats EUR10 million in order intakes. Valeo also invests in venture capital funds to identify the most promising start-ups of tomorrow. In 2017, the company filed more than 2,000 patents. So what will be the greatest challenges for Valeo going forward? “To speed up, even when growing, and finding the right balance between growth and profitability,” concludes its CEO.